The Patagonia's bold new series of boots, that are handcrafted by Danner are here, both the River Salt and Foot Tractor Sticky, Foot Tractor Aluminum Bar. The long wait is over and we've finally got them in stock. On April 25th, from 10-8pm for anyone who comes in and either tries on or purchases a pair of the new Patagonia wading boots or a pair of their waders you'll be entered into a drawing to win one of 3 Patagonia Gift Certificates ($50,$75 or $125). For just trying on a product you'll get 1 entry. Those who purchase a product will get 5 chances, 5 for boots, and 5 for waders. Beverages and snacks will be served after 5pm. Couple of key updates. With spring comes more fishing, we are going to suspend Tie-In's (Fly Tying Nights) and Fish Outs until next winter. Thanks for all who participated. Here are a few upcoming spring events. 2 openings available for the June 11th class. Call the shop to get signed up. These classes are scheduled March 29th and 30th. Call the shop to get signed up. Fly fishing a soft hackled fly is one of the oldest techniques known to fly anglers. This class is designed for fly-fishers of all abilities; for those new to the sport it is by far the easiest way to get started, and for those who have been fishing for a while-it can take your game to the next level. There are two sessions to this class. The first will be held at the shop during the evening the second will be help on the river. There are few things as enjoyable and relaxing in fly-fishing as swinging a soft hackle, so come join us to learn more about this deadly fly, and ways to fish it! Program put on by WRF's: Nicole Tomlin, Guides: Riley Nelson and Andrea Jeffery, Backcountry Hunters and Anglers and supporting staff. We are excited to announce the beginning of Women's Programing through WRF with: Intro to Fly Fishing. In this class we will discuss the sport of fly fishing from ethics, to the cast and many things in-between. All abilities are welcome, though we will concern ourselves with the foundational information mostly, hoping to answer questions and be a support network for women anglers in the future. 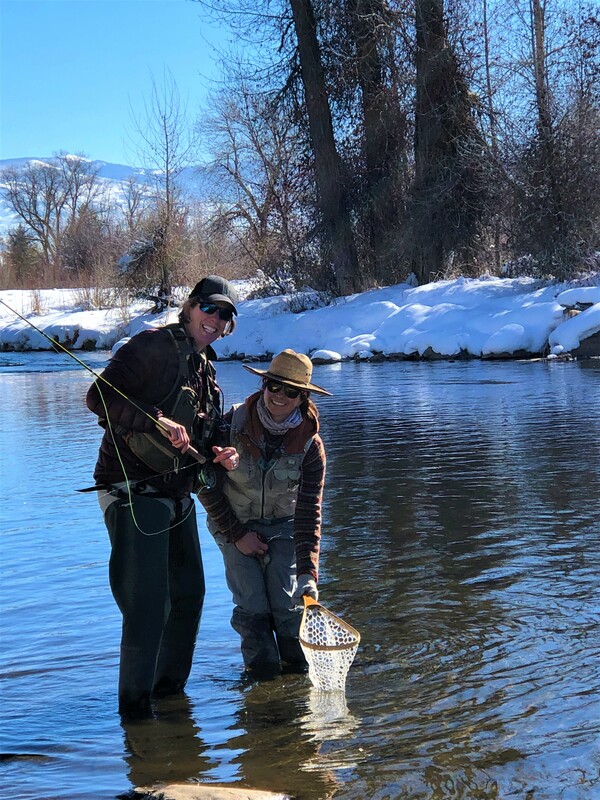 This women's only intro to fly fishing will include an evening discussion, a morning casting session and an afternoon on the water with a female guide. Lunch will be provided. We plan on having A LOT of fun! Please call the shop for more information and/or to get signed up. Our annual Fish Festival is June 8, 10 a.m. to 5 p.m. Every June, we have a special day for our customers where we pay your Sales Tax on all your purchases. In addition to those savings, we have free clinics to help you better your game. Plus, we bring in some of the industries most talented fly fishers and reps from Smith, Sage, Scott, Winston, Patagonia, RIO, Scientific Anglers, Simms, Fishpond, Hatch, Lamson Waterworks and others to help you with your purchases.